A text message domain sales pitch and email spam message that links to a .club domain name. Just when I thought I’d seen it all when it comes to spam, today I experienced two firsts. The first was that I received an SMS message offering three domain names for sale. I don’t know the sender, although it was pretty easy to look up their corporate identity using whois. They were pitching .xyz domains, by the way. So that makes it the first time someone has contacted me trying to sell a new TLD. The other first was that I received a spam message that linked to a new TLD. In this case it was a pitch for a “Weird Food that KILLED my blood pressure” that linked to a .club domain name. I suppose .club will be more friendly to spammers than more expensive new TLDs. Do you think the spammer is testing a new TLD to grab the user’s attention? Send me a screenshot of the text and the .club domain you mentioned to dirk@nic.club and we’ll investigate. 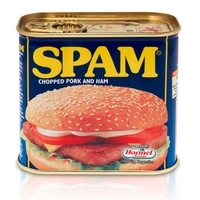 We have zero tolerance for spammers. I just got a txt message spam selling credit.partners, mortgage.partners and loan.partners for a “special weekeend sale”. Different people than the ones who sent a text to me. I take that back. Just got the same text from the same number as last time. I believe the guy’s name is Wayne Keith. That’s what he told me on the phone today. When I asked him why he was spam texting he hung up. I suppose some of us could continue to call him back at 781-591-1469 until he answers. By the way, he texts from a different number – 949-237-0538.